The promises and conflicts faced by public figures, artists, and leaders of Northeast Los Angeles as they enliven and defend their neighborhoods Los Angeles is well known as a sprawling metropolis with endless freeways that can make the city feel isolating and separate its communities. Yet in the past decade, as Jan Lin argues in Taking Back the Boulevard, there has been a noticeable renewal of public life on several of the city’s iconic boulevards, including Atlantic, Crenshaw, Lankershim, Sunset, Western, and Wilshire. These arteries connect neighborhoods across the city, traverse socioeconomic divides and ethnic enclaves, and can be understood as the true locational heart of public life in the metropolis. Focusing especially on the cultural scene of Northeast Los Angeles, Lin shows how these gentrifying communities help satisfy a white middle-class consumer demand for authentic experiences of “living on the edge” and a spirit of cultural rebellion. These neighborhoods have gone through several stages, from streetcar suburbs, to disinvested neighborhoods with the construction of freeways and white flight, to immigrant enclaves, to the home of Chicano/a artists in the 1970s. Those artists were then followed by non-Chicano/a, white artists, who were later threatened with displacement by gentrifiers attracted by the neighborhoods’ culture, street life, and green amenities that earlier inhabitants had worked to create. Lin argues that gentrification is not a single transition, but a series of changes that disinvest and re-invest neighborhoods with financial and cultural capital. 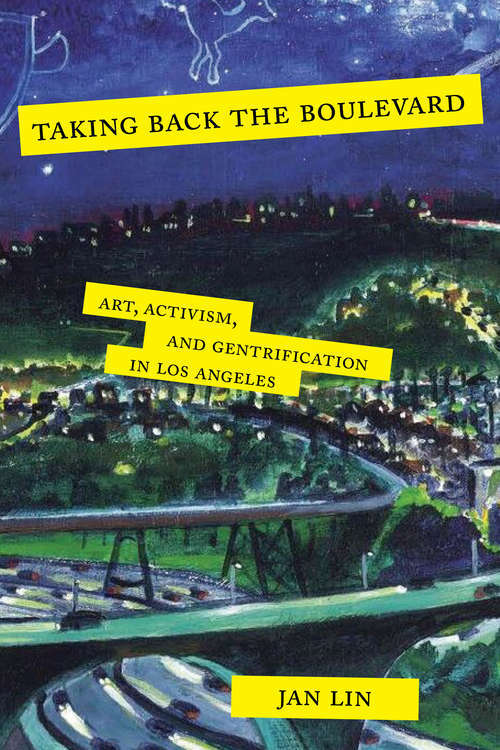 Drawing on community survey research, interviews with community residents and leaders, and ethnographic observation, this book argues that the revitalization in Northeast LA by arts leaders and neighborhood activists marks a departure in the political culture from the older civic engagement to more socially progressive coalition work involving preservationists, environmentalists, citizen protestors, and arts organizers. Finally, Lin explores how accelerated gentrification and mass displacement of Latino/a and working-class households in the 2010s has sparked new rounds of activism as the community grapples with new class conflicts and racial divides in the struggle to self-determine its future.